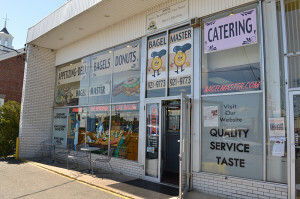 Bagel Master - Long Island's Best Bagels - Visit our Syosset bagel store - Bagel Master - and enjoy the best of Long Island! For decades, Bagel Master has proudly served the community with fresh delicious bagels, salads, deli meats, catered foods and more. Try Our Delicious Pastries and Muffins! Our fresh muffins, pastries, cookies and more are delicious. Try one, a dozen or a platter - whatever you need! Want a dozen bagels? An omelette? Specialty sandwich? Tell us how you want it and we'll do our best to make you happy! 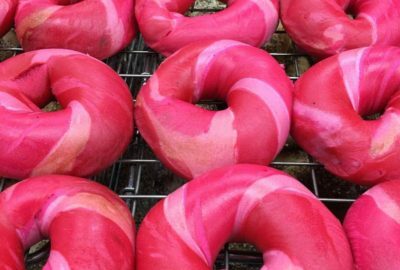 Try Our New Tie Dye Bagels! Kids and adults love them, with all the great taste of our regular bagels. Liven up your party, business meeting or breakfast with color! We make our bagels are fresh and hot every day! In the mood for a poppy bagel? Sesame? Everything? Egg onion? How about pumpernickel or rye? We've got them all! Order the sandwiches you want, the way you want them, with fresh bagels, rolls, bialys and bread. 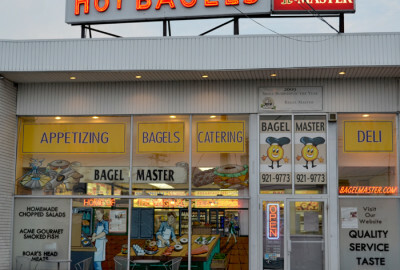 For decades, Bagel Master has proudly served Syosset, Muttontown, Oyster Bay Cove, Plainview and surrounding areas. Voted the Best Bagels on Long Island, we strive to give every customer delicious food, fast service and a friendly smile! Long Island’s Best BagelsCome in and try our 36 kinds of delicious bagels! Breakfast / LunchTry our delicious bagels, omelets, soups, sandwiches, muffins and more! 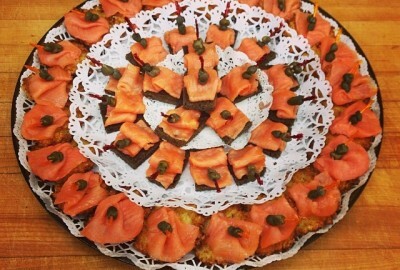 CateringFrom holiday events to parties, office meetings or large get togethers, cater your event with Bagel Master! Deli MenuChoose from delicious cold cuts, home made salads, our specialty sandwiches and more!